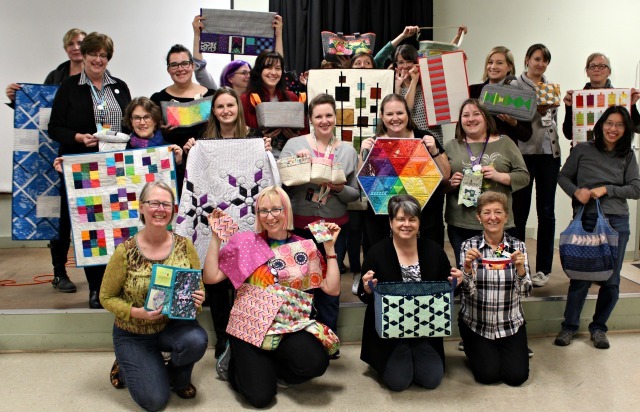 It was swap time at our guild meeting this week! I had drawn Ginger/@illstickwithgin's name to create for, and after perusing her list of what she'd like, I collected some of my favorite fabrics [Carolyn Friedlander's carkai and doe] in her favorite colors - peacock blue, navy, white - and hearkened back to those crosscut blocks. 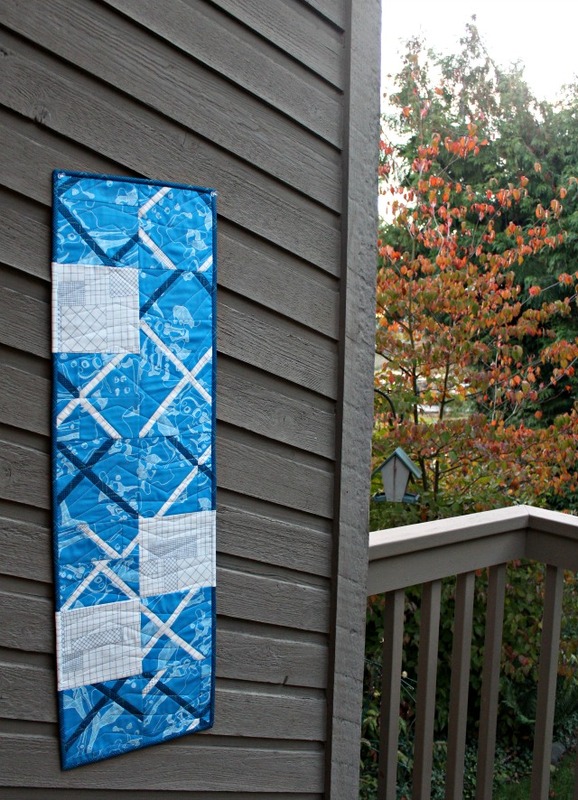 I fashioned the blocks into a table runner, quilted in the same fashion as my previous crosscut quilts. Something about that organic zig-zag just seems to suit these blocks, and it's alot of fun to do! Just mark a zig-zag with your hera marker every 6" or so, then wing it in between. For this version, I included some 'plain' squares scattered among the crosses, the perfect opportunity to incorporate some matched binding. Meanwhile, just look at what I received from @sadiesews! 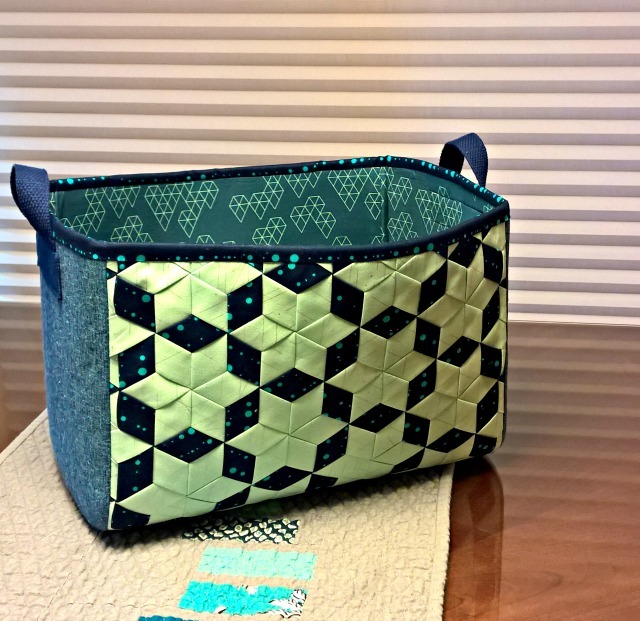 The pattern for this beautiful fabric bucket is by Anna Graham, found in her book, Handmade Style. But my partner took it to another level by making the sides of some woven fabric, aka modern meshwork. This design choice felt a bit serendipitous, as I witnessed @sadiesews create her first meshwork at our guild retreat a few weeks ago. I remember enjoying checking in on her progress several times. Very fun. So good times! 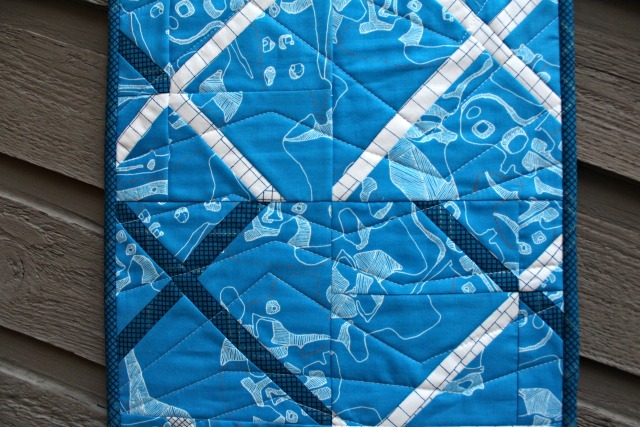 Check out #seamswap if you want to see more of the beautiful projects made for the swap. I won't lie, I'm jealous of your basket! What a fun swap your guild has! oooh, cool. Both projects are truly unique and creative. all the projects the ladies show are nice! 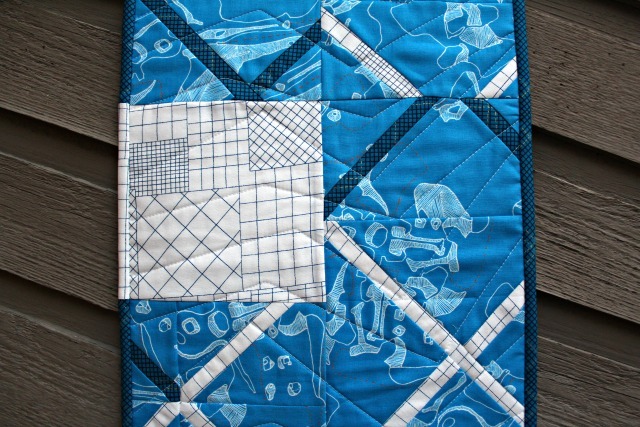 And I really like the basket you received and think it was a good idea to give a cross cut quilt! It is so.... you! 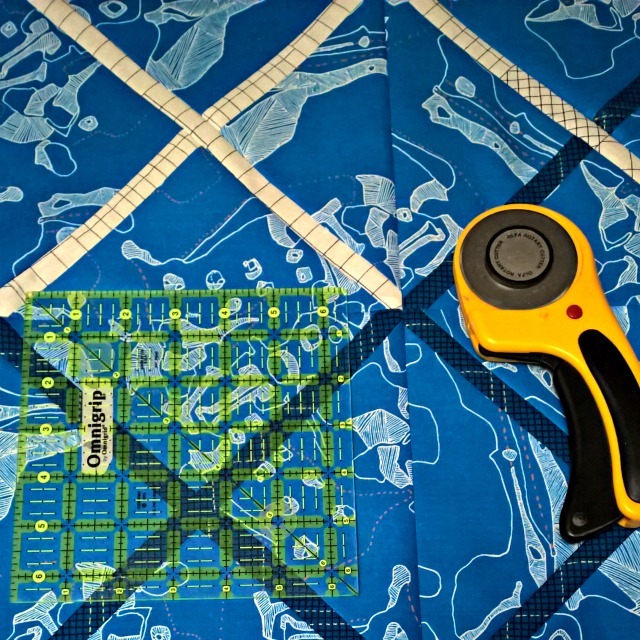 I especially like the quilting on the crosscut, well done! You scored with the basket! Looks like a great time was had by all! Now this is a swap! Everyone looks especially pleased with her swap gift. I love your tablerunner and your gift is extra nice since it brings back a great memory of encouraging the maker. Now how's that for meaning? !